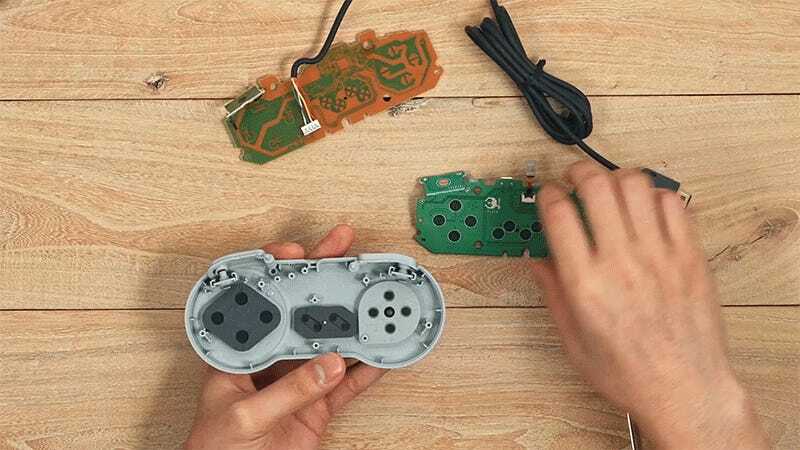 For five years, 8Bitdo has been creating near-perfect wireless clones of your favorite classic gamepads, improving the experience of emulating retro games on modern devices. But if near-perfect isn’t perfect enough for your discerning gaming tastes, the company is now selling kits that should make it dead easy to upgrade your original Nintendo and Sega controllers with Bluetooth, without requiring any electronics know-how, or soldering. Having to wrangle another cable isn’t great, but it’s necessary for the upgrade process to be as streamlined and simple as it is. The kits are available starting today on 8Bitdo’s online shop for $20 each, and are compatible with controllers from the NES, SNES, Super Famicom, Sega Mega Drive, and the tethered controllers included with NES and SNES Classic Edition. They should work out of the box with any device that natively supports Bluetooth controllers, but your classic gaming consoles will require a Bluetooth adapter once you cut the cable.